More than six years had passed since Congress all but rubber-stamped Pres. Lyndon Johnson’s notoriously vague Tonkin Gulf Resolution, which provided what little legal framework there was for U.S. military escalation in Vietnam. Doubts remained as to the veracity of the supposed North Vietnamese naval attacks on U.S. ships in the Tonkin Gulf that had officially triggered the resolution, or whether the U.S. Navy even had cause to venture so close to a sovereign nation’s coastline. No matter. Congress gave the president what he wanted: essentially a blank check to bomb, batter, and occupy South Vietnam. From there it was but a few short steps to nine more years of war, illegal secret bombings of Laos and Cambodia, ground invasions of both those countries, and eventually 58,000 American and upwards of three million Vietnamese deaths. Leaving aside the rest of this country’s sad chapter in Indochina, let’s just focus for a moment on the role of Congress in that era’s war making. In retrospect, Vietnam emerges as just one more chapter in 70 years of ineptitude and apathy on the part of the Senate and House of Representatives when it comes to their constitutionally granted war powers. Time and again in those years, the legislative branch shirked its historic — and legal — responsibility under the Constitution to declare (or refuse to declare) war. And yet, never in those seven decades has the duty of Congress to assert itself in matters of war and peace been quite so vital as it is today, with American troops engaged — and still dying, even if now in small numbers — in one undeclared war after another in Afghanistan, Iraq, Syria, Somalia, Yemen, and now Niger … and who even knows where else. 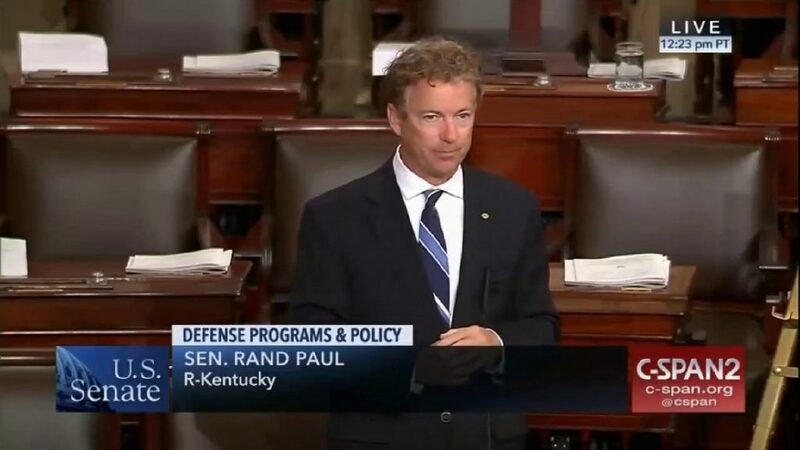 Fast-forward 53 years from the Tonkin Gulf crisis to Sen. Rand Paul’s desperate attempt this September to force something as simple as a congressional discussion of the legal basis for America’s forever wars, which garnered just 36 votes. It was scuttled by a bipartisan coalition of war hawks. And who even noticed — other than obsessive viewers of C-SPAN who were treated to Paul’s four-hour-long cri de coeur denouncing Congress’s agreement to “unlimited war, anywhere, anytime, anyplace upon the globe”? The Kentucky senator sought something that should have seemed modest, indeed — to end the reliance of one administration after another on the long-outdated post-9/11 Authorization for the Use of Military Force for all of America’s multifaceted and widespread conflicts. He wanted to compel Congress to debate and legally sanction (or not) any future military operations anywhere on Earth. While that may sound reasonable enough, more than 60 senators, Democratic and Republican alike, stymied the effort. In the process, they sanctioned (yet again) their abdication of any role in America’s perpetual state of war — other than, of course, funding it munificently. In June 1970, with 50,000 U.S. troops already dead in Southeast Asia, Congress finally worked up the nerve to repeal the Tonkin Gulf Resolution, a bipartisan effort spearheaded by Sen. Bob Dole, the Kansas Republican. As it happens, there are no Bob Doles in today’s Senate. As a result, you hardly have to be a cynic or a Punxsutawney groundhog to predict six more weeks of winter — that is, endless war. It’s a remarkably old story actually. Ever since V-J Day in August 1945, Congress has repeatedly ducked its explicit constitutional duties when it comes to war, handing over the keys to the eternal use of the U.S. military to an increasingly imperial presidency. An often deadlocked, ever less popular Congress has cowered in the shadows for decades as Americans died in undeclared wars. Judging by the lack of public outrage, perhaps this is how the citizenry, too, prefers it. After all, they themselves are unlikely to serve. There’s no draft or need to sacrifice anything in or for America’s wars. The public’s only task is to stand for increasingly militarized pregame sports rituals and to “thank” any soldier they run into. The last time Congress actually declared war, Franklin Delano Roosevelt was president, the Japanese had just attacked Pearl Harbor, and there were Nazis to defeat. Five years after the end of World War II, however, in response to a North Korean invasion of the South meant to reunify the Korean peninsula, Roosevelt’s successor, Harry Truman, decided to intervene militarily without consulting Congress. He undoubtedly had no idea of the precedent he was setting. In the 67 intervening years, upward of 100,000 American troops would die in this country’s undeclared wars and it was Truman who started us down this road. In June 1950, having “conferred” with his secretaries of state and defense and the Joint Chiefs of Staff, he announced an intervention in Korea to halt the invasion from the North. No war declaration was necessary, the administration claimed, because the U.S. was acting under the “aegis” of a unanimous United Nations Security Council resolution — a nine-to-zer vote because the Soviets were, at the time, boycotting that body. When asked by reporters whether full-scale combat in Korea didn’t actually constitute a war, the president carefully avoided the term. The conflict, he claimed, only “constituted a police action under the U.N.” Fearing that the Soviets might respond by escalating the conflict and that atomic reprisals weren’t out of the question, Truman clearly considered it prudent to hedge on his terminology, which would set a perilous precedent for the future. As a memory, Taft’s public rebuke to presidential war-making powers is now lost to all but a few historians, but how right he was. And were the Trump administration ever to go to war with Iran, to pick one of Taft’s places, count on the fact that it would still be without a congressional declaration of war. From the start, Congress rubber-stamped Pres. Johnson’s Tonkin Gulf Resolution, which passed unanimously in the House and with only two dissenting Senate votes. Despite many later debates and resolutions on Capitol Hill, and certain strikingly critical figures like Democratic senator William Fulbright, most members of Congress supported the president’s war powers to the end. Even at the height of congressional anti-war sentiment in 1970, only one in three members of the House voted for actual end-the-war resolutions. According to a specially commissioned House Democratic Study Group, “Up to the spring of 1973, Congress gave every president everything he requested regarding Indochina policies and funding.”Despite enduring myths that Congress “ended the war,” as late as 1970 the McGovern-Hatfield amendment to the Senate’s military procurement bill, which called for a U.S. withdrawal from Cambodia within 30 days, failed by a vote of 55 to 39. 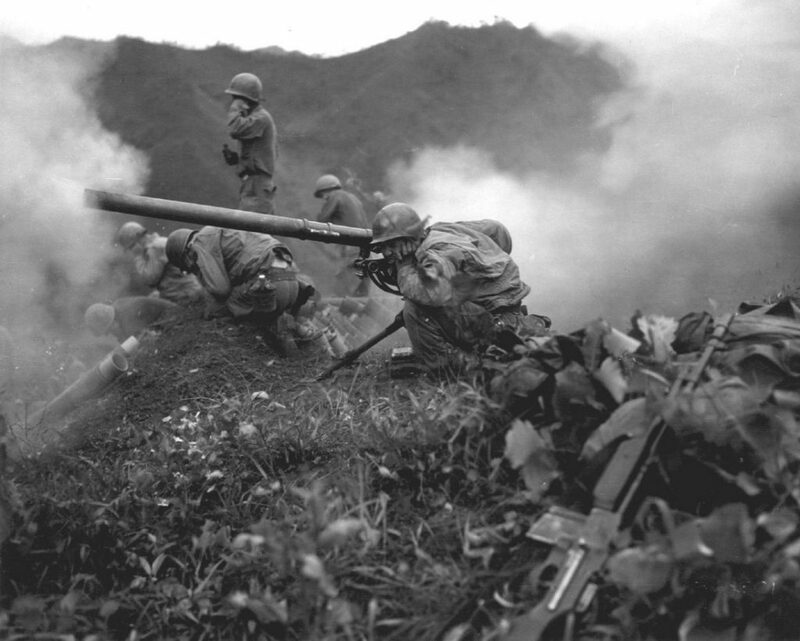 Despite some critical voices (of a sort almost completely absent on the subject of American war in the 21st century), the legislative branch as a collective body discovered far too late that American military forces in Vietnam could never achieve their goals, that South Vietnam remained peripheral to any imaginable U.S. security interests, and that the civil war there was never ours to win or lose. It was a Vietnamese, not an American, story. Unfortunately, by the time Congress collectively gathered the nerve to ask the truly tough questions, the war was on its fifth president and most of its victims — Vietnamese and American — were already dead. In the summer of 1970, Congress did finally repeal the Tonkin Gulf Resolution, while also restricting U.S. cross-border operations into Laos and Cambodia. Then, in 1973, over President Richard Nixon’s veto, it even passed the War Powers Act. In the future, that bill stated, only a congressional declaration of war, a national defense emergency, or “statutory authorization” by Congress could legally sanction the deployment of the armed forces to any conflict. In reality, the War Powers Act proved to be largely toothless legislation. It was never truly accepted by the presidents who followed Nixon, nor did Congress generally have the guts to invoke it in any meaningful manner. Over the last 40 years, Democratic and Republican presidents alike have insisted in one way or another that the War Powers Act was essentially unconstitutional. Rather than fight it out in the courts, however, most administrations simply ignored that law and deployed troops where they wanted anyway or made nice and sort of, kind of, mentioned impending military interventions to Congress. Lots of “non-wars” such as the invasions of Grenada and Panama or the 1992 intervention in Somalia fell into the first category. In each case, presidents either cited a U.N. resolution as explanation for their actions (and powers) or simply acted without the express permission of Congress. Those three “minor” interventions cost the United States 19, 40 and 43 troop deaths, respectively. Tell that to the 241 Marines killed in a later embassy bombing. When combat did, in fact, break out in Beirut, congressional leaders compromised with Reagan and agreed to an 18-month authorization. Nor was the judiciary much help. In 1999, for instance, during a sustained U.S. air campaign against Serbia in the midst of the Kosovo crisis in the former Yugoslavia, a few legislators sued Pres. Bill Clinton in federal court charging that he had violated the War Powers Act by keeping combat soldiers in the field past 60 days. Clinton simply yawned and pronounced that act itself “constitutionally defective.” The federal district court in Washington agreed and quickly ruled in the president’s favor. In the single exception that proved the rule, the system more or less worked during the 1990-to-1991 Persian Gulf crisis that led to the first of our Iraq wars. A bipartisan array of congressional leaders insisted that Pres. George H.W. Bush present an Authorization for the Use of Military Force well before invading Kuwait or Saddam Hussein’s Iraq. For several months, across two congressional sessions, the House and Senate held dozens of hearings, engaged in prolonged floor debate, and eventually passed that AUMF by a historically narrow margin. Snarky statements aside, sadly, this was Congress’s finest hour in the last 70 years of near-constant global military deployments and conflicts — and it, of course, led to the country’s never-ending Iraq wars, the third of which is still ongoing. 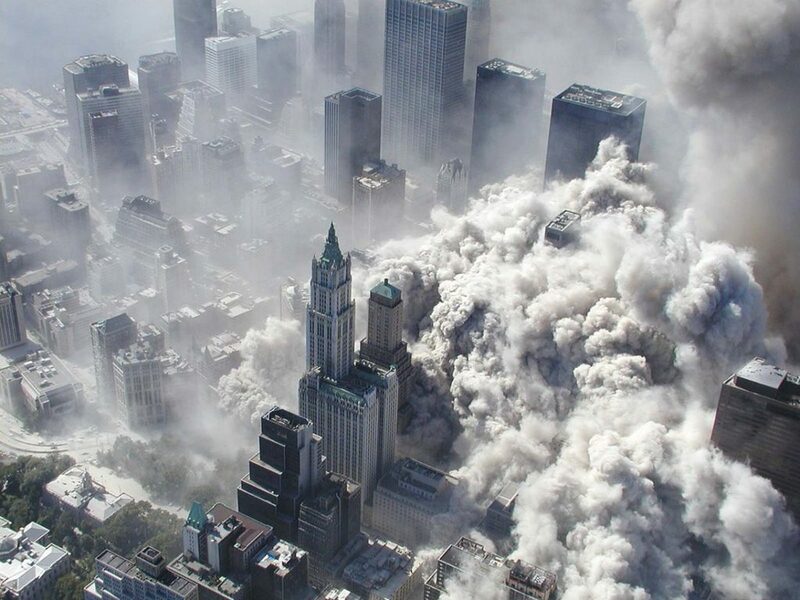 The system failed, disastrously, in the wake of 9/11. Just three days after the horrific attacks, as smoke still billowed from New York’s Twin Towers, the Senate approved an astoundingly expansive AUMF. The president could use “necessary and appropriate force” against anyone he determined had “planned, authorized, committed or aided” the attacks on New York and the Pentagon. Caught up in the passion of the moment, America’s representatives hardly bothered to determine precisely who was responsible for the recent slaughter or debate the best course of action moving forward. Three days left paltry room for serious consideration in what was clearly a time for groupthink and patriotic unity, not solemn deliberation. The ensuing vote resembled those in elections in Third-World autocracies. 98 to zero in the Senate and 420 to one in the House. Lee was simply ignored. In this way, Congress’s sin of omission set the stage for decades of global war. Today, across the Greater Middle East, Africa, and beyond, American troops, drones and bombers still operate under the original post-9/11 AUMF framework. The next time around, in 2002, Congress proceeded to sleepwalk into the invasion of Iraq. Leave aside the intelligence failures and false pretenses under which that invasion was launched and just consider the role of Congress. “To contemplate war is to think about the most horrible of human experiences … As this nation stands at the brink of battle, every American on some level must be contemplating the horrors of war. Yet, this chamber is, for the most part, silent — ominously, dreadfully silent. There is no debate, no discussion, no attempt to lay out for the nation the pros and cons of this particular war. There is nothing. The evidence backed up his claims. 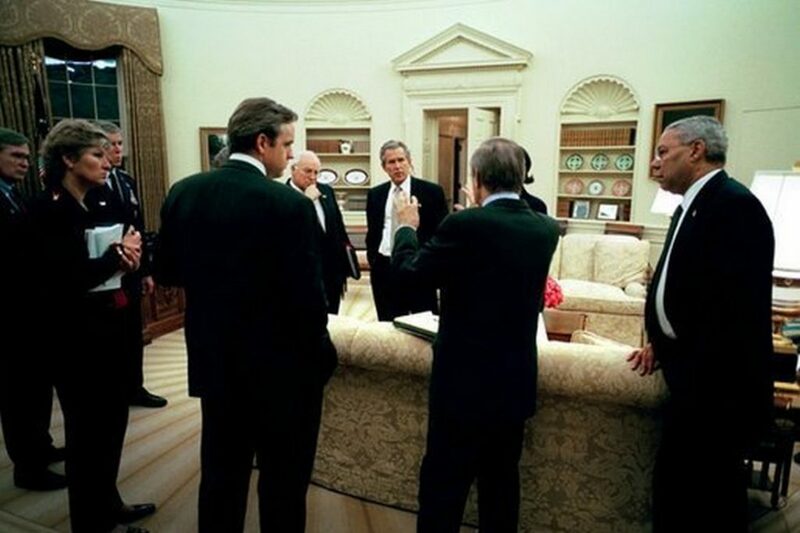 Late on the night of Oct. 11, 2002, after only five days of “debate” — similar deliberations in 1990 had spanned four months — the Senate passed a so-called war resolution (essentially a statement backing a presidential decision, not a congressional war declaration) and the invasion of Iraq proceeded as planned. With all that gloomy history behind us, with Congress now endlessly talking about revisiting the 2001 congressional authorization to take on Al Qaeda and little revisiting likely to occur, is there any recourse for those not in favor of presidential wars to the end of time? It goes without saying that there is no antiwar political party in the United States, nor — Rand Paul aside — are there even eminent antiwar congressional voices such as Taft, Fulbright, McGovern or Byrd. The Republicans are war hawks and that spirit has proven remarkably bipartisan. From Hillary Clinton, a notorious hawk who supported or argued for military interventions of every sort while she was Barack Obama’s secretary of state, to former vice president and possible future presidential candidate Joe Biden and present Senate minority leader Chuck Schumer, the Democrats are now also a party of presidential war making. All of the above voted, for instance, for the Iraq War Resolution. So who exactly can antiwar activists or foreign policy skeptics of any sort rally to? If more than 70 years of recent history is any indication, Congress simply can’t be counted on when it comes time to stand, be heard, and vote on American wars. You already know that for the representatives who regularly rush to pass record Defense spending bills — as the Senate recently did by a vote of 89 to nine for more money than even Pres. Donald Trump requested — perpetual war is an acceptable way of life.